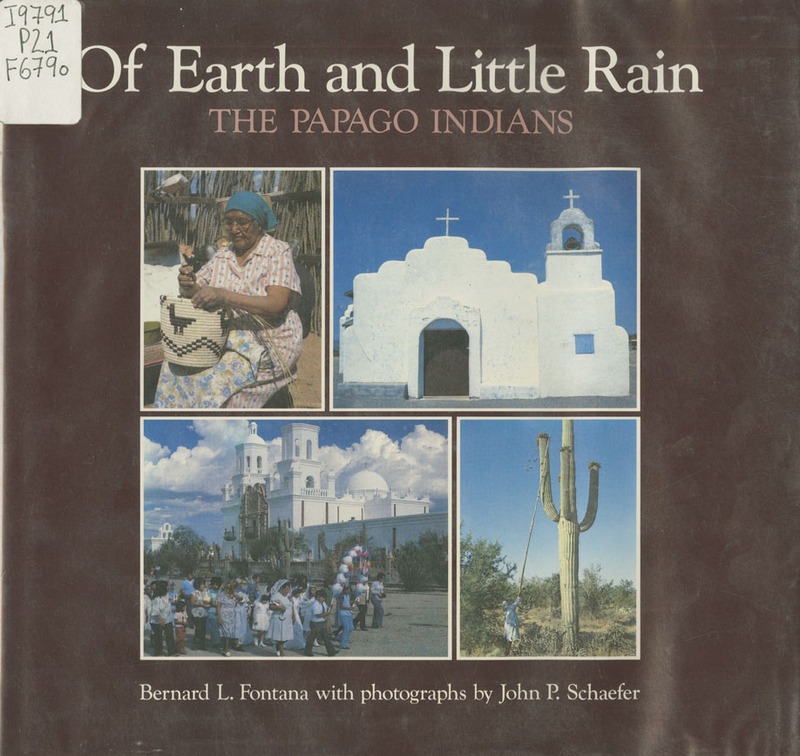 Fontana, Bernard L. , “Of Earth and Little Rain: the Papago Indians ,” Arizona 100: Essential Books for the Centennial, accessed April 21, 2019, http://speccoll.library.arizona.edu/online-exhibits-dynamic/az100/items/show/244. At the time this book was published, the Fontana family had lived just a few feet from the reservation boundary for twenty-five years, and this text reveals both the author’s interaction with his neighbors and how geography and climate define life and culture in this piece of dry land. Fontana’s words introduce the reader to people and provide an excellent overview of tribal history, but no notice of this book can overlook John P. Schaefer’s photographs. 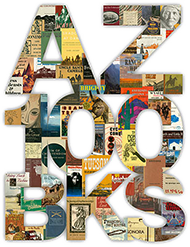 Northland Press; reprint, Tucson: University of Arizona Press, 1989.
xii, 140 p. : ill. (some col.) ; 24 x 25 cm.